Misc. 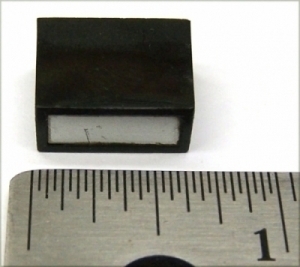 Linear IC's - Filters, Hybrids, Potted Opamps, etc. Potted Opamps, VCA's, RMS Det., Filters, Hybrids, Modules, Power Amps, etc. 2N Transistors, FETs, SCR's, etc. Letter Prefix Transistors, FETs, SCR's, etc. Diodes - Rectifiers, Bridge Rectifiers, etc. USED Rectangular Black & Silver Switch Cap for dbx 160, 161, 162, etc. Fits all standard """"Schadow"""" type switches. Used, may have slight scratches and discoloration. This item is not returnable. Studio Electronics, founded in 1981, is known for its expertise with vintage analog and digital studio equipment repair and service, and dbx gear is one of our specialties. Studio Electronics, Burbank CA ©Copyright 2019 Studio Electronics Inc.